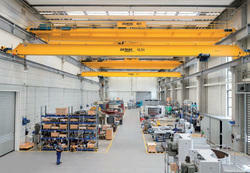 Demag overhead crane is totally electrically operated and use for lifting a heavy load in workshop and industry. 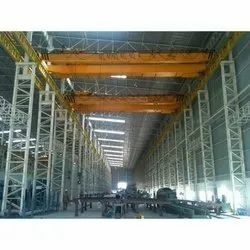 Demag overhead travelling cranes offer you exceptional load capacity for a low deadweight. They are also characterised by their outstanding crane geometry, ensuring extremely favourable travel characteristics and therefore minimising wear.